Ka Ka Bak Kut Teh is known as the most famous Bak Kut Teh in Kepong. Kepong is a place where the traffic is terrible but Ka Ka Bak Kut Teh will worth your drive. Ka Ka Bak Kut Teh serves generous, chunky pieces of pork in a thick, savory herbal broth which is indescribably good. If you are not into Bak Kut Teh, their clay pot pork curry is worth to try too. Make sure to come early to avoid waiting hours for seating. Fatty Bak Kut Teh & Fish Head offer free-flow broth and serves in a claypot to ensure the taste and texture remain throughout the meal. Their fish head is worth to try out too. Fatty Bak Kut Teh & Fish Head is located at a place where is filled with bars and pubs. The restaurant operates until 4am. This makes the place best to go for midnight cravings or after partying. 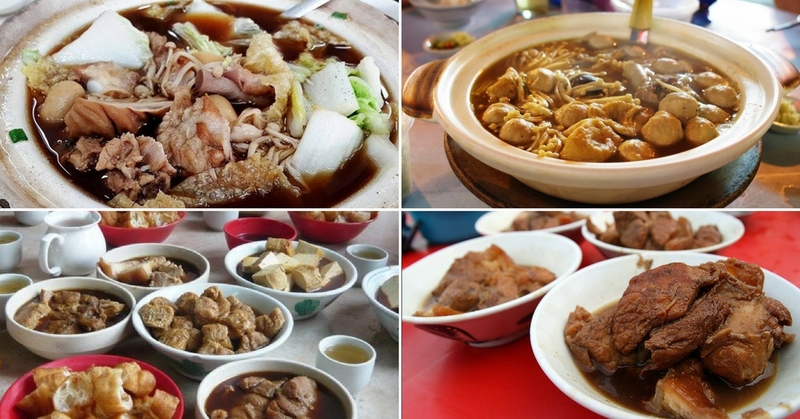 When it comes to Bak Kut Teh, Klang is always the first option to pop up in mind. Sun Fong is famous for their Hokkien- style of cooking Bak Kut Teh that makes the broth aromatic and peppery herbal comes with tender, chewy and succulent pork ribs. This place is usually packed and remember to come early to avoid crowds. Seng Huat Bak Kut Teh is in the Bak Kut Teh industry for more than 30 years. Seng Huat serves a little bit different compare to other Bak Kut Teh restaurant. They don’t serve in clay pot, or any vegetable or enoki mushroom. Diners who like a lighter or milder taste of broth will like to come to Seng Huat. Seng Huat is popular because of its location which located under the bridge of Klang. Ah Her Bak Kut Teh is open for more than 20 years. Ah Her Bak Kut Teh serves strong and intense flavours of the pork mixed with the herbs to make a killer combination. Bak Kut Teh lovers who stay far away from Klang are willing to travel extra mile just to have Ah Her Bak Kut Teh. Which is the one you’ll be trying first? Let us know at the comment box below.